After signing up, op4g will e-mail you surveys periodically based on the information you provide in the registration process. a portion (or all) of the money you earn while taking surveys can be donated to cumac. Fight Hunger From Home With Our Partners. AmazonSmile is a simple way for you to support your favorite charity every time you shop. Log onto smile.amazon.com, select CUMAC as your charitable organization and shop away! A portion of your purchase will then be donated every time you use smile.amazon.com. Shop at any of Goodshop's 4000+ partner stores (like Best Buy, Bath & Body Works, Target) and a donation will be made to CUMAC. It's no cost to you and it gives you the opportunity to help fight hunger in NJ. 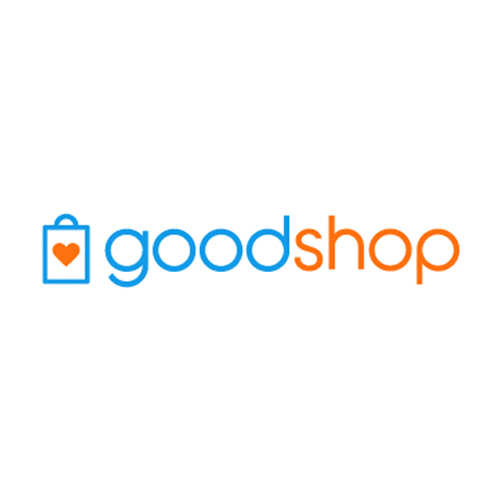 Just log-on to Goodshop, register CUMAC as your cause, and start shopping! Your opinions can turn into meals for those in need. Take surveys on OP4G.com and a portion (or all) of the money you earn will be donated to CUMAC. But that's not all! Sign up for OP4G this month and CUMAC will receive a special bonus. To get started visit our page on www.op4g.com. Write a review for CUMAC and help others discover our work! Online reviews are a great way to share your experience and spread the word about CUMAC. If you have enjoyed your time with CUMAC, please write us a review on GreatNonprofits, VolunteerMatch, Yelp, Guidestar, Google or Facebook. Every review makes a difference! Become an Advocate. Speak Out Against Hunger. Reach out to your local representatives and tell them to make the hunger crisis a priority! Not sure who to contact? Look up your representatives here. Join our mailing list to stay up-to-date on the latest with CUMAC and our advocacy efforts. Follow CUMAC on Facebook, Twitter, Instagram, LinkedIn and YouTube.